Article first published as Perdue Resignation is Bittersweet on Blogcritics. 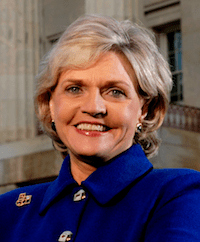 North Carolina’s Governor Perdue recently announced she would not seek the reelection voters would have likely denied her anyway. Her resignation is a fitting capstone for a failed term, but is hardly a just cause for celebration among conservatives. It’s easy to cheer Perdue’s resignation as a victory—and it is a victory—but her absence from the race takes her disastrous record out of the campaign. The North Carolina gubernatorial race is now open for an Obama-style candidate; i.e. a liberal contender without a clear record who speaks only in vague platitudes and lets voter’s fill his empty suit with rosy projections. By pulling out of the race, Perdue has destroyed, or at least severely diluted, her would-be opponents’ most powerful ammunition—her abysmal record. The replacement Democrat in the race will be able to plausibly deny support for the most unpopular portions of the Perdue legacy. Perdue claims she’s dropping out of the race so the fight over school funding won’t be politicized. Given that she’s responsible for politicizing the issue, I think it’s more likely her 10-point polling deficit in the host state for DNC’s re-coronation of Obama was bringing plenty of pressure from state and national Democrats to step aside. Read more in Democrats, Elections, North Carolina.